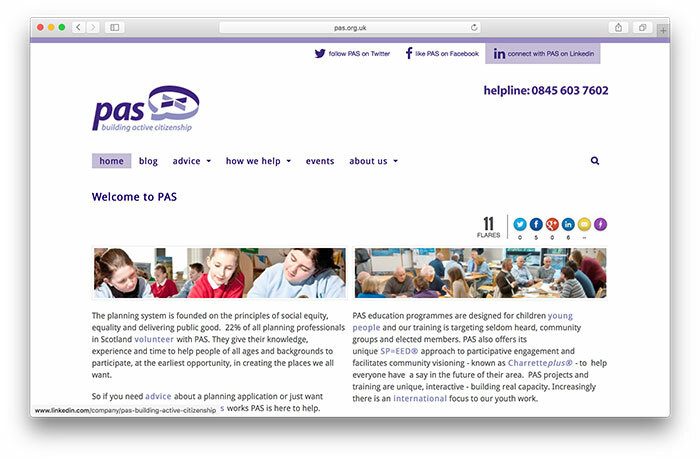 PAS provides a free planning advice and mentoring service to members of the public, planning professionals, public bodies, elected members, community groups, young people and those simply interested in how planning is shaping their environment. 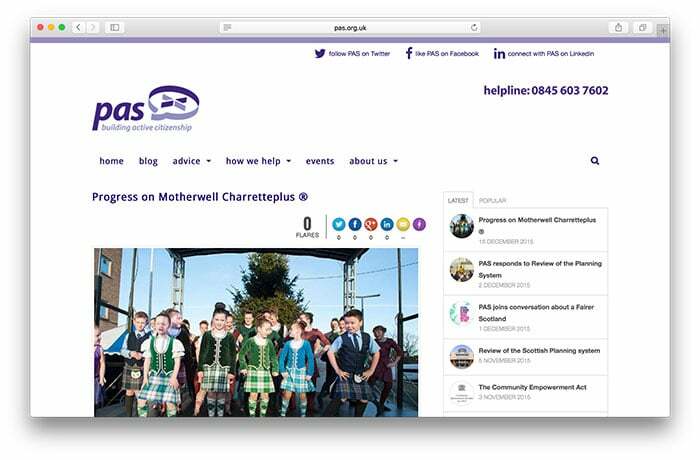 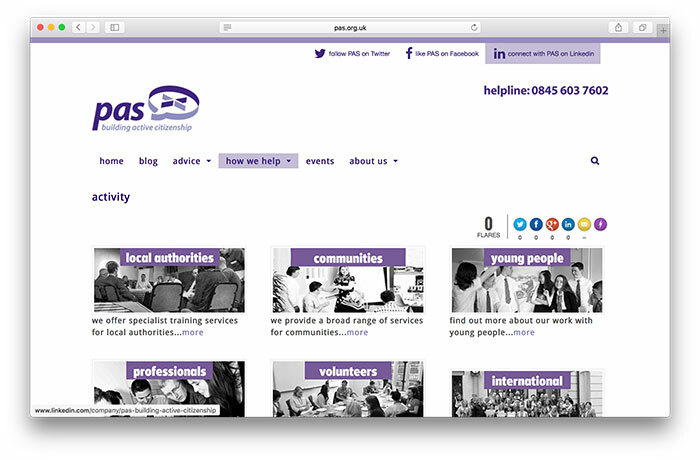 This website, the second incarnation since the organisations rebranding in 2013, provides access to a range of services including the online advice service, online volunteer applications and a wealth of other services and regular news updates. 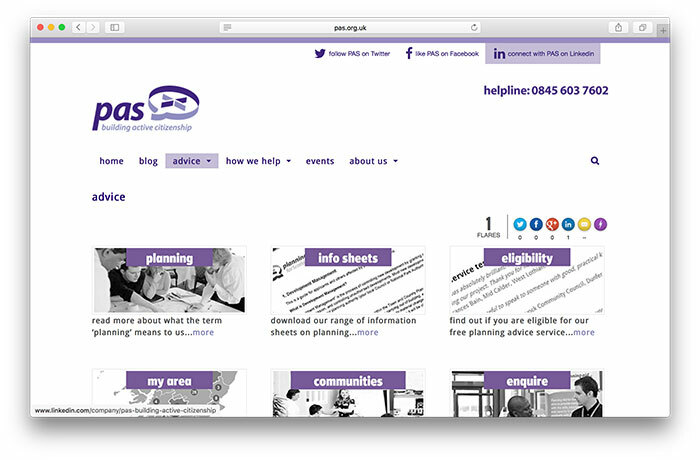 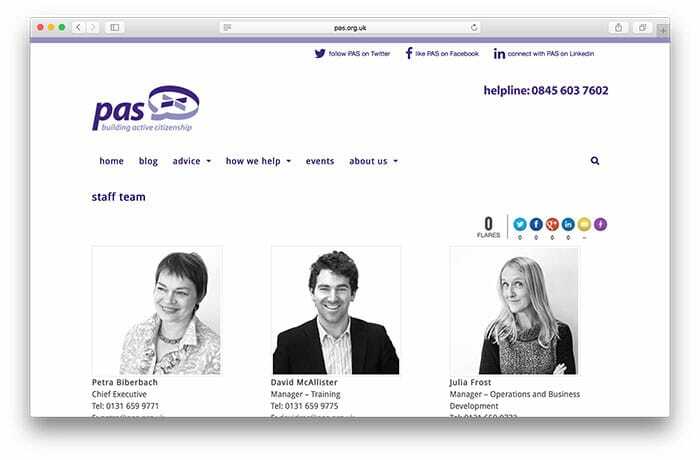 The range of work carried out by PAS requires regular review of the website to ensure that each aspect of work is given the prominence that it deserves without creating a confusing and complex interface for the public and organisations that use it.